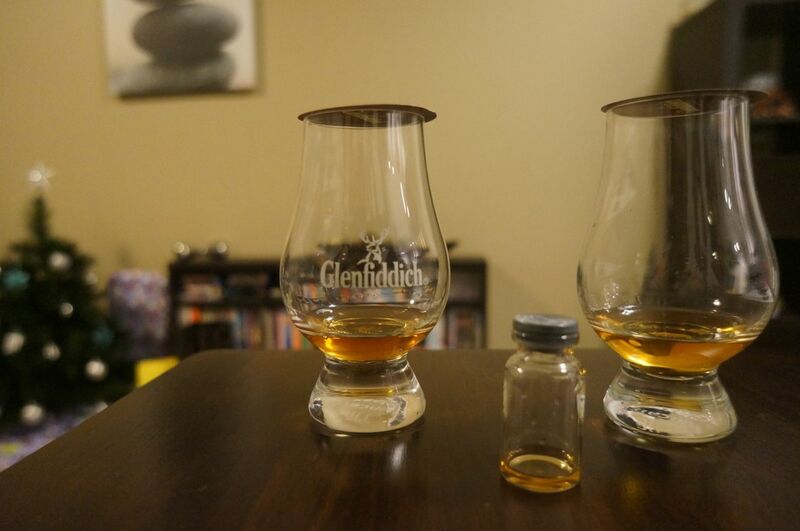 Has it really been a month since the last Scotch Club? Time flies. Not a bad line-up - particularly for a Glenfiddich fan like me! Shirt Bar's Scotch Clubs all follow the same basic premise (talk about how they whisky is made, where it's made, what affects the flavour, then taste it) but each has its unique differences. 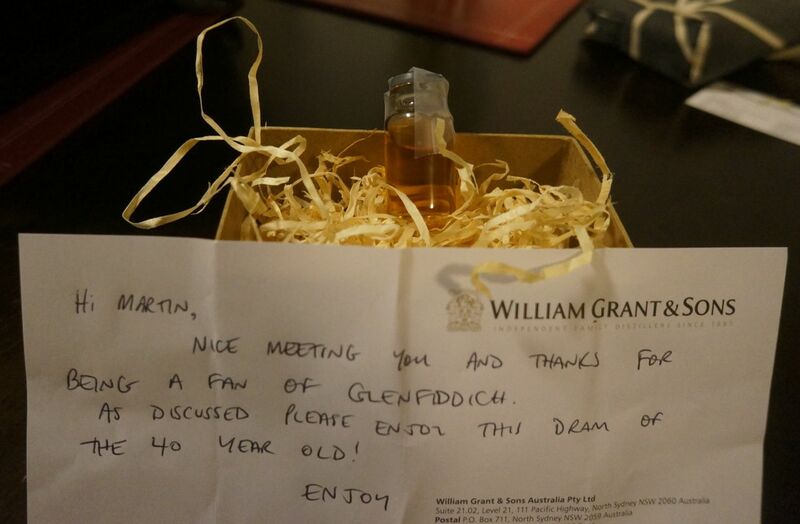 In this case, it was a funky interactive presentation including a detailed video tour of the Glenfiddich distillery. Sebastien, a friendly French bloke and William Grant & Son's local Glenfiddich Ambassador talked us through the tour and tasting, starting with the 12yo and working our way through to the 21yo. We also got to take a whiff of new make Glenfiddich (which I've tried once before at the distillery - it tastes just like a very, very young 12yo!) and a few different barrel finishes of the 15 and 18 (it's amazing how different oak can drastically change the colour of two identically-aged whiskies). ..like the 18 year old Ancient Reserve. A sweet cinnamon nose makes way for an equally sweet taste, but with plenty of spice. Cinnamon, toffee - less fruit than the 12yo (though still there), and more spice. A smoother, longer finish as expected. The two 15 year olds were up next, and considering the similar lineage, are really very different. The 15 year old Solera showed the same sweetness as the 12yo, with more of a Christmas cake palate, and a slightly lengthier finish. The 51% non-chill filtered 15 year old Distillery Edition (a mixture of sherry and bourbon-aged 'fiddichs) however was all about the peppery, leathery palate. This easily had the most "presence" of all the whiskies we tasted, with a huge mouthfeel that lingered on and on. 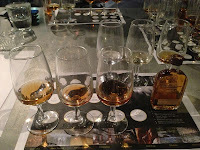 Cask strength whiskies (especially those like the 50.7% 1975 Private Vintage) can offering have an almost-overpowering palate due to the higher ABV. Not so with the Distillery Edition. To me, it was the perfect balance of big bold flavours without the harshness. My most memorable whisky of the night. Lastly was the 21 year old Gran Reserva (which now comes in a much cooler package than the bottle I bought a few years ago). Interestingly, a few years ago this was known as the "Havana Reserve", but due to Cuban trade embargoes underwent a name change so it could be sold in the US. As the name implies, it's aged in Caribbean rum casks, and it shows. Sweet like the 15 and 18yo, but with a creamier, sticky pudding-like palate, and a long, smooth finish. I'm a big fan of sipping rums (Zacapa 23, Diplomatico to name a few) and if you look hard enough, you'll find similar tastes in the 21yo. A truly excellent whisky. All up, a great night and an excellent Scotch Club on which to end the year. 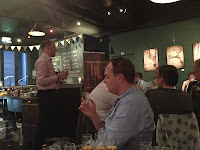 Glenfiddich is an approachable whisky and that was the approach the guys took to the night too. Sebastien and his colleague Mark were great to talk to and really made the night enjoyable (Mark also very kindly promised to send me a little taste of something special...whatever it is, a review will follow!). PS: On a related note - I've just put in an order for the next Glenfiddich Age of Discovery (Bourbon finish) as well as the (apparently quite peated) 125th Anniversary special. Picking them up duty-free in early Jan, so look out for posts shortly after! There's a little (read: massive) website over in the UK called Master of Malt who have an unbelievable selection of single malts, ship to Australia, and have very reasonable prices. Duty, shipping and import concerns aside, I've often thought about putting through an order, and top of my list will be the Laga '95 Distillers Edition (PX finish). 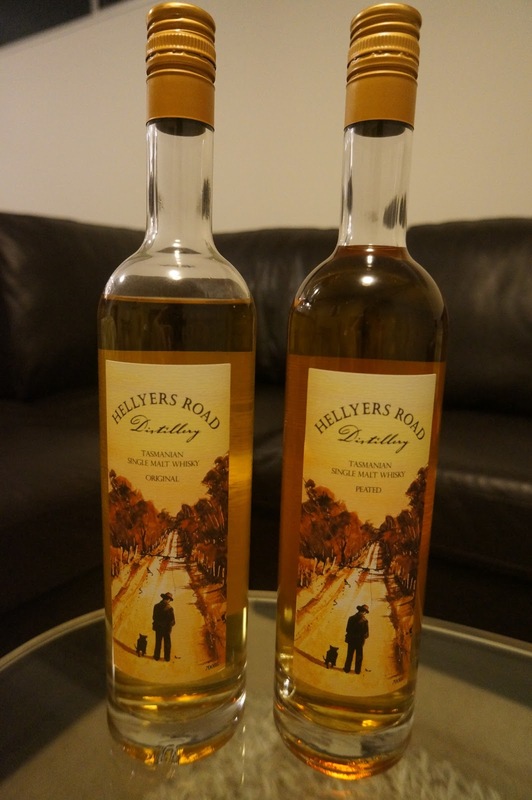 So when I saw it at E.D.V in Melbourne (sister bar to my favourite bar in the world, Eau de Vie in Sydney), I had to try it. The sweetness of Pedro Ximénez sherry, with the peatiness for which Lagavulin are famous? This had my name all over it. As a bit of background, unlike some other distilleries, Lagavulin distinguish their "Distillers Editions" by the casks in which they're aged, rather than the strength at which they're bottled. In the case of the '95 (and others), the aging is done in ex-Spanish Pedro Ximénez (aka PX) sherry casks. Nose: Smoke/peat (yes this is still a Laga), but a hint of sweetness too. Call it raisins, caramel, whatever (actually, calling it PX sherry might be more accurate) - there's a definite whiff of sweetness. Palate: Again, peat is dominant, but there's a definite sweet undertone. What the sweetness did for me was make the whisky much smoother. It's like a regular Laga, but much smoother and with a hint of sweetness, maybe toffee. A drop of water really accentuated the sweetness and toned down the peat too. Finish: Long, lingering and smooth. Ten word summary: Could sip this all night, but only if neat. Tasty. TimeforWhisky.com was lucky enough to be part of the Diageo Reserve World Class Australia 2013 First Round Qualifier last week, to experience 12 of Australia's best bartenders battling it out for 4 coveted positions in the 2013 Final. Guests were asked to try 12 cocktails (3 from each category, based on Ketel One vodka, Tanqueray No. TEN gin, Bulleit bourbon and Ron Zacapa Rum) and vote for their favourite in each category via a clever passport (with voting slips) provided on entry. Rob Libecans' "The Fly & The Loaf" Martini (Black Pearl, Melbourne) - Ketel One vodka, Lillet blanc, Liquor 43 vanilla liquor and reposado tequila. Served with carbonated grapes (which had to be tasted to be believed), this was not your usual Martini. 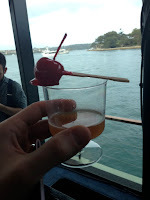 Andrew Bennett's "The Tanqueray Toffee Apple" (The Classroom, Perth) - Tanqueray No. TEN, apple cider reduction, grapefruit marmalade served with a toffee apple. Sweet and candy-like, exactly as the name implies. Christian Blair's "Finca la Perla Zacapacino" (Eau de Vie, Sydney) - Ron Zacapa 23, coffee liquer, maple and chocolate bitters topped with aerated banana and toasted rice-infused tres leches sauce. 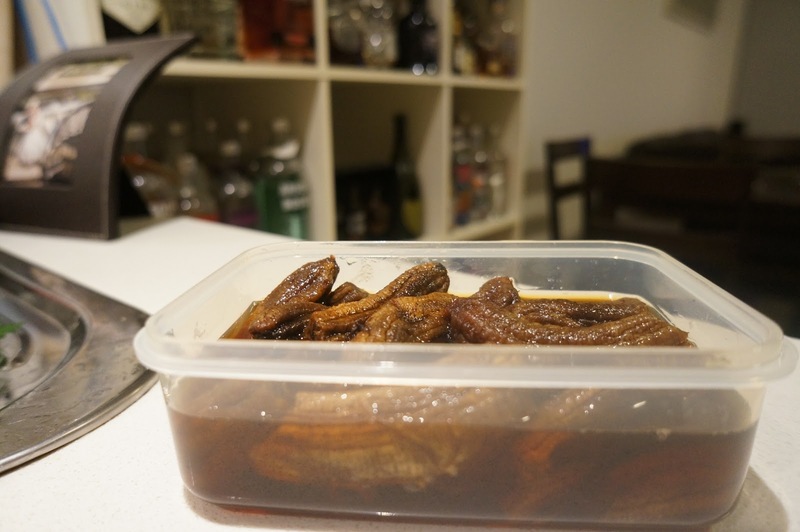 We're big fans of Zacapa, but even we had no idea it was so versatile. An incredible cocktail. Being a Whisk(e)y blog though, we (my wife and I) took particular note of the Bulleit cocktails - which were equal parts Americana, childhood memories and twisted classics. First up (and our favourite) - Jessica Arnott of Gardels Bar's "1965 - An American Cocktail", which definitely wins the award for the best presentation. 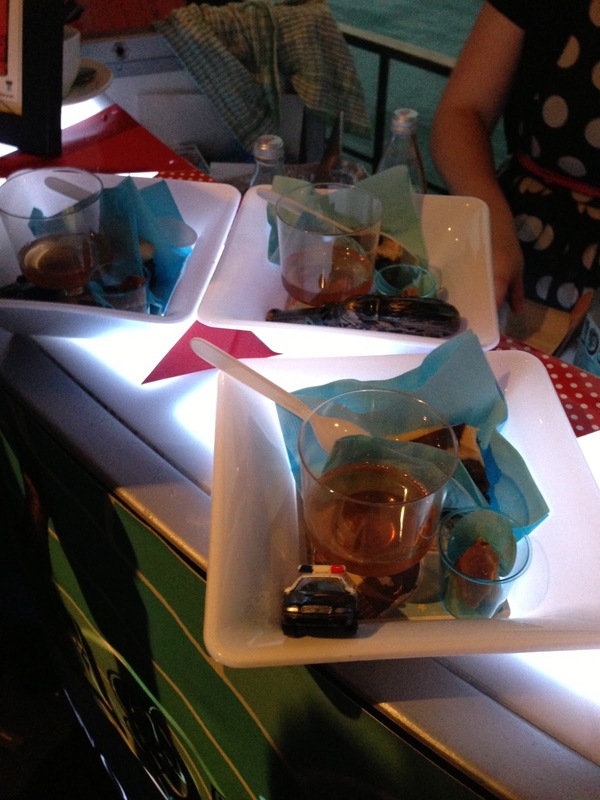 Created in the style of a Happy Meal, this wasn't just a cocktail, but a whole tray of goodies - including smoked peanut brittle, "Elvis" cake, and a toy (we got toy cars). 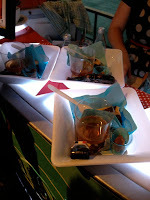 The cocktail itself was made with Bulleit (duh), pumpkin-pie infused spirit, smoked maple syrup and chocolate bitters. Every bit a "Gardels' Bar" drink, if you've ever been. About as Rock-n-Roll as they come. Next was Chris Hysted of Black Pearl's "The To-Go Drink" (sidenote - if you get the chance to try Chris' "Grounds for Divorce", do so. Talisker and Porter, with walnut liqeur and creme de cacao - magic.) Chris explained that the famous "Flip" class of cocktails was the partial inspiration for this, coupled with his experiences in New Orleans where cocktails could be taken on the trip home, "to go". Bulleit, spiced apple, vermouth and almond, this was a tasty number, made all the more fun by the fact that any onlookers would simply think you're drinking a takeaway espresso! Full marks for ingenuity. Lastly was Tim Laferla of Mechanic's Institute's "A Diplomatic Resolution" - a heady number with Bulleit, cranberries, spice and "whiskey barrel smoke", pumped over the cocktails with a smoking gun (something I hope to have of my own soon!) I love a smokey cocktail, and an unexpectedly smokey cocktail even more so, so this was a winner in our books. 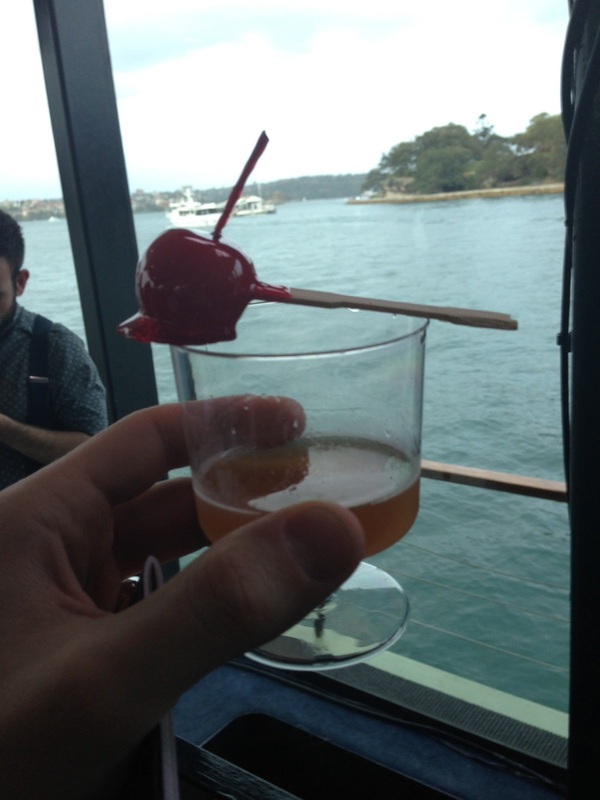 Ron Zacapa 23: Christian Blair (Eau de Vie, Sydney). All up, a fantastic night, and we can't wait for Round 2 in 2013! 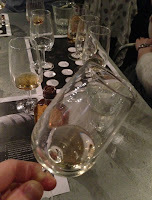 Continuing on from the 1975 Private Vintage tasting, here's the second in my series of Glenfiddich "Tasted" posts. 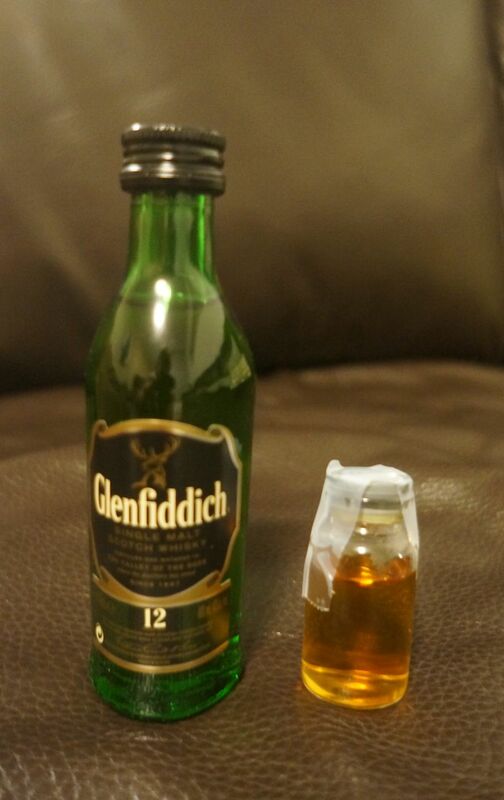 Glenfiddich 18yo Ancient Reserve - a staple of the 'fiddich lineup for quite some time now. Not necessarily an everyday drinking whisky at $125AUD, but if you happen to be in a bar that serves it, you may find it's barely more expensive than the standard 12yo. I know of at least one bar that for a long while, was charging $12 for a Glenfiddich 12yo, $12 for a Glenfiddich 15yo, and $13 for the 18yo. $1 well spent if you ask me. There's a subtle nose on the 18yo, but it's clearly a 'fiddich - sweetness with a hint of spice. On tasting, there's a big spicy first taste, which lingers to the very end. . If the 1975 is all about sweet nuttiness, this is all about spiciness. One standout characteristic is the short finish, especially in comparison to the (significantly older) 1975. There's more subtlety here than with the '75 - largely I imagine due to the lower ABV. The flavour does open up significantly with a drop of water, which may or may not be to your taste (I recommend trying every whisky with a drop of water at least once - especially non-chill filtered whiskies, if for no other reason than to see the cloudy effect!). Overall this is a solid Glenfiddich. If you're a fan of the distinct Glenfiddich taste, you'll find the 18yo a subtler, smoother version of the ever-popular 12yo. Highly recommended. Scotch Club at Shirt Bar - a brilliant concept where every month or so, a bunch of like-minded spirits fans get together to taste dark spirits (usually Scotch, but occasionally rum, Australian whisky, or in the case of this Scotch Club - Bourbon whiskey). Usually led by a Brand Ambassador or the distillers themselves, they're informative sessions where attendees get to not only taste some top-shelf and often rare spirits, but also learn the inner secrets of distillation, and sometimes taste the product during its lifecycle (and then soak it all up with a pies, quiches, and a generous platter of breads/cheeses/olives and dips!). Woodford Reserve was this month's focus, led by spirits guru and Brown Forman / Woodford Reserve Brand Ambassador Stuart. Walking in and seeing only three empty seats (ours - apologies to Adam and Stuart for being late! ), it was clear this was going to be a popular Scotch Club. 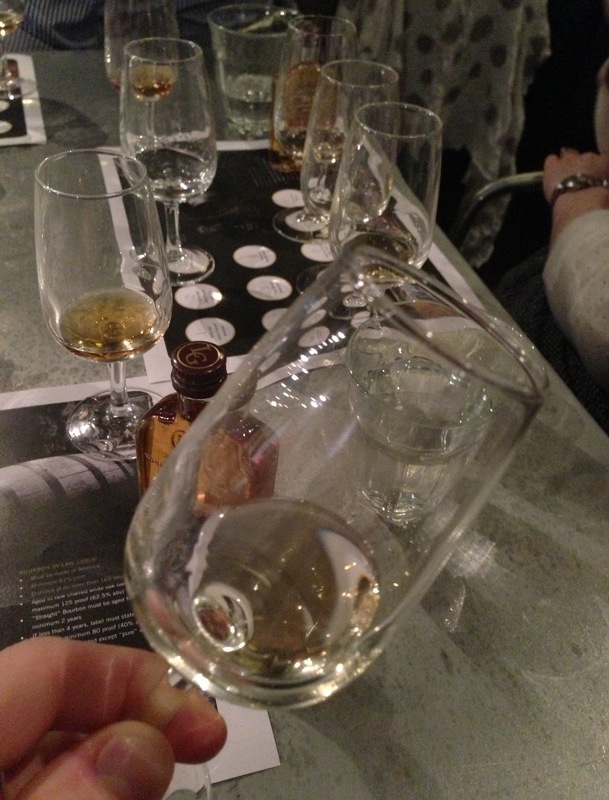 It wasn't hard to see why either - with a set of 6 tasting glasses in front of every seat, AND a 50mL take-home WR Distiller's Select for everyone. Bourbon fans would probably be familiar with the regular WR (Distiller's Select), but rest of the range is rarely seen in Australia (typically limited to specialist shops like World of Whisky in Double Bay), so it was a treat to not only try 4 of the rarer releases, but also some fresh-off-the-still new make (aka "White Dog"). If you've tried new make before, you'll probably know what I'm about to say. A pure expression of the ingredients that go into the basic "spirit" (it's not a bourbon yet at this point), new make is crystal-clear and comes fresh off the still, before being placed into barrels for aging. It's potent, has a somewhat ethanol scent, and usually pretty rough (although in this case, surprisingly smooth). You wouldn't want to drink it every day, but it's worth trying at least once. It's amazing what 7 years of sitting in a barrel can do. Smooth, honey notes replace the harsh, raw taste of the new make. This is something you can easily drink every day. Woodford talk about the "5 sources of flavour" (grain, water, fermentation, distillation, and maturation) and change just one of these for each of their MC releases. For these two it's the maturation - aged for an extra 2 years (total 9 years), and in seasoned oak and maple wood barrels respectively. The Seasoned Oak has a deep mahogany colour and spice comes through clearly in both nosing and tasting, whereas the Maple Wood (to me at least) had strong leather characteristics. Both brilliant bourbons you could happily sip and savour all night long. These were interesting - sold as a pack of 2 x 350mL bottles, these 100% rye whiskies only differ by the type of cask they're aged in. 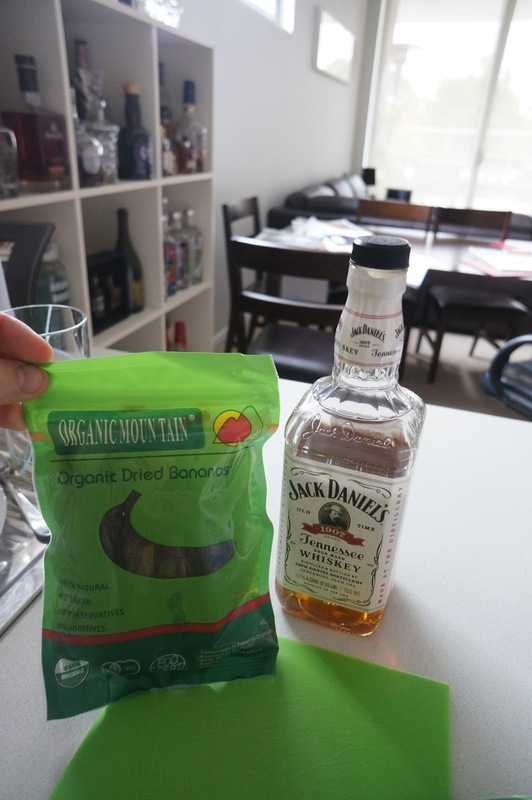 Hearing "100% rye" I was expecting something pretty overpowering, but was surprised at just how drinkable these were neat (at around $250AUD/pack, you probably wouldn't be mixing too many cocktails with them...). Smooth, rounded, and with none of that harsh bite you can get with some ryes. Opinions around the room were pretty evenly split as to the preferred rye - for me it was the Aged Cask. Barrels are stored in temperature-controlled warehouses, which are purposely heated and cooled during the aging process. All up a fantastic combination of great whiskey, great food and great conversation. I highly recommend checking out both Woodford Reserve and the next Scotch Club if you haven't yet! PS: Google also tells me Australia is shortly getting the next MC release - "Four Wood". Can't wait to try it! It was Glenfiddich that got me into single malt whisky in the first place, and while my tastes have branched out since (especially in the direction of Islay), I still count Glenfiddich amongst my favourite. So mixed in with all my other posts over the next few months, I plan to include "Tasted" posts for all the above Glenfiddichs. Nothing too formal - really it's just an excuse for me to break them out and try them (some of them haven't been touched for a few years)! PS: I'll update this post with links to specific "Tasted" posts once they're up.